Harvey, Irma, Maria, and Nate. These names are associated with catastrophic damage, lives lost, and a region which will be struggling to recover for years to come. The World Meteorological Organisation (WMO) has therefore taken the decision to retire these names from its list of rotating names, to be replaced by Harold, Idalia, Margot and Nigel. The WMO said in a statement this week that it maintains rotating lists of names, which are appropriate for each Tropical Cyclone basin. In the Atlantic and Eastern North Pacific, male and female names alternate alphabetically and the lists are used every six years. If a hurricane is particularly deadly or costly, then its name is retired and replaced by a different name. The four new names will be used in the 2023 season. 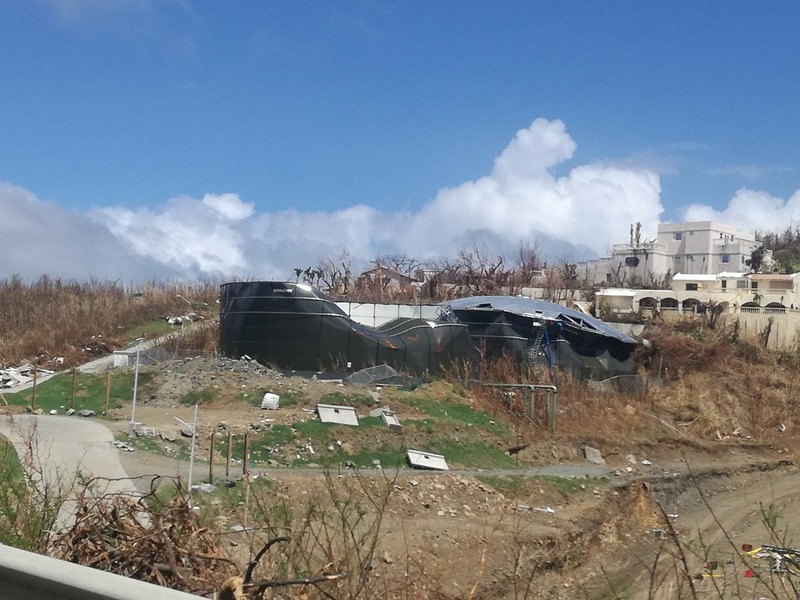 The WMO's Hurricane Committee met in Martinique from April 9-13 to review the devastating 2017 Atlantic hurricane season and to discuss regional coordination and operational planning to protect lives and property in the forthcoming one. "The extremely active 2017 Atlantic hurricane season was one of the most destructive on record. Damage costs exceeded 250 billion dollars in the United States alone, whilst recovery for the worst hit Caribbean islands such as Dominica may take years. Several hundred people died, and the lives of millions were impacted." "Accurate forecasts and warnings about wind, storm surge and flooding hazards and coordination between meteorological services and disaster management helped prevent the casualty toll from being even higher. Longstanding cooperation within WMO’s Regional Association for North America, Central America and the Caribbean (RAIV) meant that sophisticated forecast products and impact assessments were available to the whole region," the WMO said. The WMO said tor the first time on record, three category 4 hurricanes made landfall in the U.S. (Harvey, Irma and Maria), and six category 5 landfalls occurred across the Caribbean basin from Irma and Maria. Of the 17 named tropical storms that formed during 2017, ten became hurricanes, and six reached major hurricane strength (category 3 or higher on the Saffir-Simpson Hurricane Wind Scale), according to a report by WMO’s Regional Specialized Meteorological Center (RSMC) Miami which is under the responsibility of the US National Hurricane Center. In comparison, the 1981-2010 averages are 12 tropical storms, six hurricanes and three major hurricanes. The Accumulated Cyclone Energy (ACE) index, a measure that takes into account both the strength and duration of the season’s tropical storms and hurricanes, was about 241% of the long-term average and the seventh highest in the Atlantic historical record back to 1851, according to the RSMC Miami report. September was also the busiest month on record, in terms of ACE, for any tropical cyclone basin worldwide since more reliable records began in the early 1970s. At the meeting, the WMO RAIV Hurricane Committee considered detailed reports from all affected countries and territories and operational planning for the 2018 season with an aim to increase disaster resilience. Harvey, which made landfall as a category 4 hurricane, remained over or near the Texas coast for four days in late August, dropping historic amounts of rainfall of more than 60 inches over southeastern Texas and causing catastrophic flooding in major cities including Houston. Harvey cost an estimated 125 billion dollars, the second-most costly hurricane in U.S. history, behind only Katrina (2005). At least 68 people died from the direct effects of the storm in Texas, the largest number of direct deaths from a tropical cyclone in that state since 1919. Irma remained at category 5 strength for 60 hours in early September on a trail of destruction through numerous Caribbean islands. 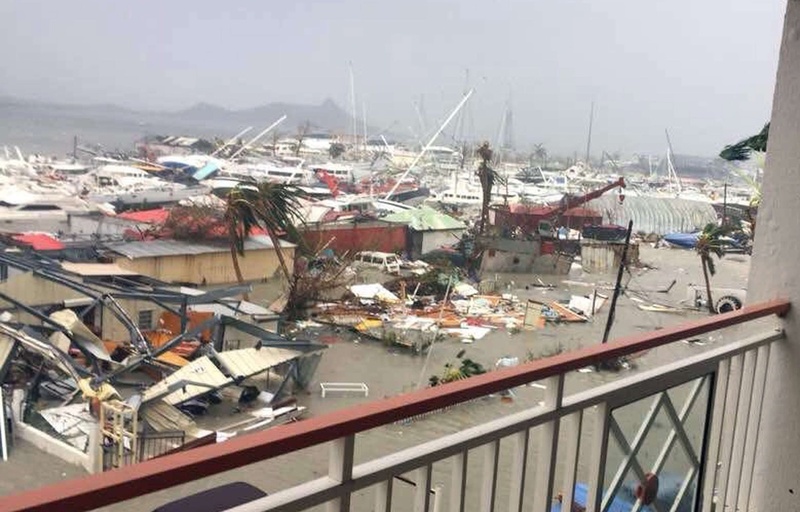 Barbuda experienced near-total destruction, and there was severe damage to Saint Martin/Sint Maarten, Anguilla, St Kitts and Nevis, the Turks and Caicos Islands, the Virgin Islands and the southern Bahamas. Irma went on to track along the north coast of Cuba and was was the first category 5 hurricane to make landfall in Cuba since 1932, causing serious damage. 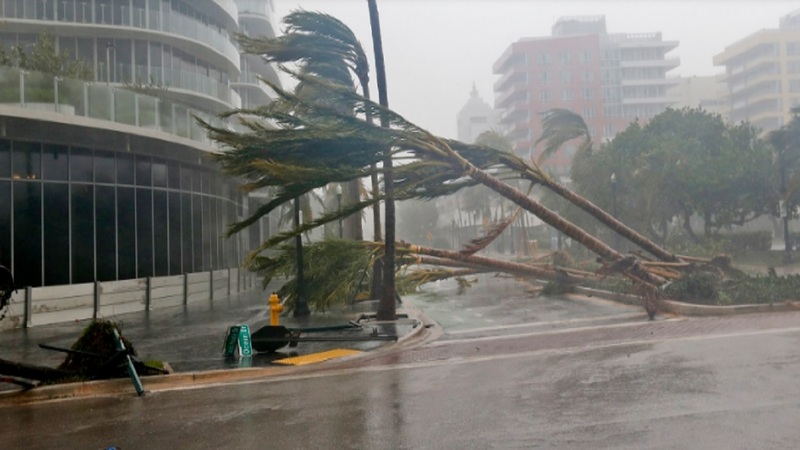 It made landfall in south-west Florida at category 4 intensity, prompting the evacuation of about 6 million residents and causing severe flooding. In the U.S., seven direct deaths were reported, and an additional 85 indirect deaths occurred, 80 of which were in Florida. Hundreds more were injured preparing for the storm, during it or in its aftermath. Maria quickly intensified into a hurricane just 24 hours after it became a tropical storm and intensified into a category 5 hurricane. It made landfall on Dominica on September 19, the strongest on record to do so. Maria caused catastrophic damage, and the once-lush tropical island was effectively reduced to an immense field of debris. The World Bank estimates Dominica’s total damages and losses from the hurricane at US$ 1.3 billion or 224% of its Gross Domestic Product (GDP). Maria was still a category 4 hurricane when it reached Puerto Rico as the strongest storm to hit the island since 1928 and by far the most destructive. Power was lost to the entire island, and was only been restored to just over half the population three months after the hurricane, whilst water supplies and communications were also severely affected. The NOAA estimate of damage in Puerto Rico and the U.S. Virgin Islands due to Maria is 90 billion dollars, which makes it the third costliest hurricane in U.S. history, behind Katrina (2005) and Harvey (2017). The NOAA estimate of damage in Puerto Rico and the U.S. Virgin Islands due to Maria is 90 billion dollars, which makes it the third costliest hurricane in U.S. history, behind Katrina (2005) and Harvey (2017). 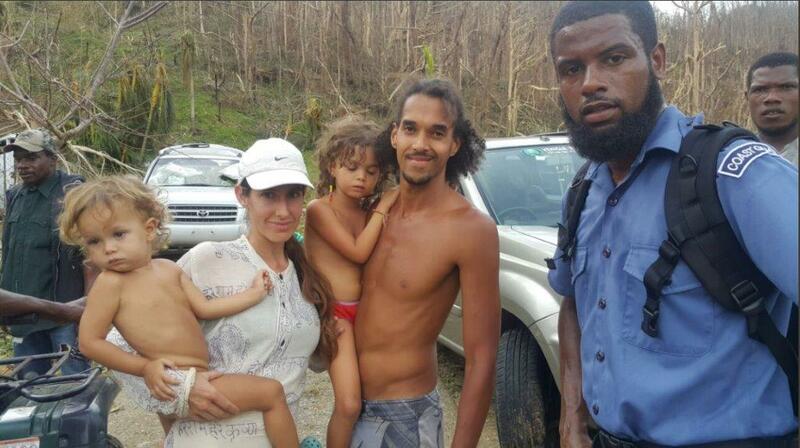 Maria caused 31 direct deaths with 34 missing in Dominica, and two direct deaths in Guadeloupe. In Puerto Rico, the death toll stands at 65, which includes an unknown number of indirect deaths. Hurricane Nate crossed northeastern Nicaragua and eastern Honduras as a tropical storm, then made landfall on the northern Gulf Coast as a category 1 hurricane. 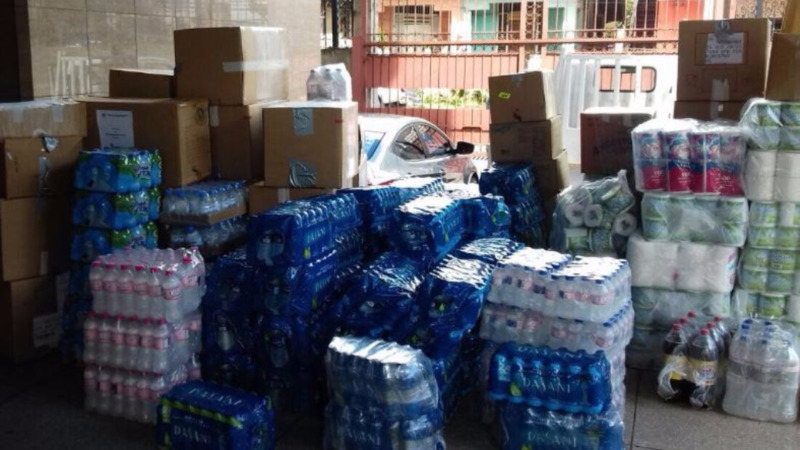 It brought rainfall that caused significant impacts in Central America, where media reports indicate that these caused 44 deaths in the region. An additional fatality in Panama was due to a “shipwreck,” bringing the death toll directly associated with Nate to 45. An additional nine people were missing in the region. The 2005 season holds the record for the most names retired because of the devastation they caused. Dennis, Katrina, Rita, Stan and Wilma were removed from the rotating list that year.